Here you'll find articles about collecting antiques and collectibles. The initial exploration of the West occurred in the first half of the 19th century, but it was the aftermath of the Civil War that drove hundreds of people west seeking a better life. Besides homesteading farmers there were also villains of which the legends of the “Old West” are peopled. So what exactly is the “Old West.” Some historians say that it was a time period extending from 1870 to 1890—the time of the Indian Wars. But it lasted much longer than that. In fact, the “Old West” extended well into the 20th century, or at least until Arizona became a state, the last mainland territory to do so. The Old West as a collecting category holds something for everyone, whether they’re interested in history, folk or fine art, or Native American artifacts. To say the “Old West” is just cowboys is ridiculous, for it means different things to different collectors., whether they’re interested in the post-Civil War era, guns and rifles, mining paraphernalia, beaded clothing, Native American baskets, paintings by Frederic Remington and Charlie Russell, or props and costumes from western T.V. characters like Hopalong Cassidy and the Lone Ranger. They’re all collectible. collectors realize the need to focus their Old West collections. Subjects range from famous people of the Old West to the Pony Express, the railroads, whore houses, saloons, and so much more. But no matter what subject area a collector chooses, he or she soon learns that research is very important. It helps to identify authentic pieces and enables collectors to see through scams and fakes. two pair of identical looking spurs. But an experienced collector will look closely for the maker’s mark. The less expensive pair, selling for a few hundred dollars, may have been made by August Buermanns while the more expensive one by L.D. Stone may sell for several thousand. There are collectors who are into saddles. An early half-seat saddle from the 1885 Sears Catalog might cost $400, but a similar half-seat model from Main & Winchester of San Francisco will sell for nearly $60,000. Generally speaking, the cost of cowboy collectibles is on the rise, so it’s imperative to buy from reputable dealers. No other vehicle romanticized the Old West like the Wild West shows that were popular from the 1880s to the 1920s. They brought the Old West to the world. While Buffalo Bill’s Wild West stands out from the crowd, there was also Pawnee Bill’s Wild West Show, Texas Jack's Wild West, Jones Brosthers' Buffalo Ranch Wild West, and "Buckskin Joe" Hoyt. All endeavored to capture western history while they were making it. Collectibles from this era range from photos, posters, programs, firearms, costumes and assorted other memorabilia. Authentic show souvenirs sell for as low as $20, but items belonging to some of the shows’ famous performers, such as Annie Oakley, can go for hundreds of thousands. The gold rushes and the various silver discoveries had a dramatic effect on the Old West. Mining artifacts, including implements, tools, and equipment, have caught the attention of collectors. Hammers, drills, lanterns, helmets, blasting items, and more are readily available to collectors. There’s also a variety of related items, such as mining photos, stock certificates, badges, safety awards, company documents and letterheads, and commemorative items, and more. Native American artifacts have become increasingly popular with collectors in recent years. Some collect Yavapai baskets, others Navajo rugs or Native American clothing. Many collectors like to hunt for beaded items, but rare quilled items can be just as colorful. Prices for these items are reaching stratospheric levels—large baskets or pottery jars can sell for five figures or more---making this category out of reach of beginning western collectors. A small basket or pottery bowl can go for several hundred dollars. 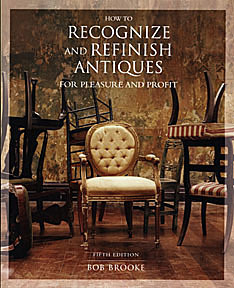 As with other high-priced antiques, condition really matters, as does age. But remember, not everything that looks old actually is. Native Americans living on reservations began making items for the tourist trade with the encouragement of the Bureau of Indian Affairs, so many items actually date from the 1940s or 1950s or later. Western art is another hugely popular category for Western Americana collectors. Frederick Remington and Charlie Russell are household names, but paintings by Thomas Moran sell just as well. Each of these artists endeavored to capture the romance of the Wild West. For those who cannot afford original paintings, there are plenty of prints and posters on the market. Those who can’t afford an original Remington, selling for upwards of a million dollars, can purchase the same image in a 1940s oil-on-canvas reprint for $75. Movie or travel posters are another option. Photography was just coming into its own at the start of the Civil War. Matthew Brady and other photographers roamed the West recording life as they found it, rather than romanticizing it the way the painters did..
Photographs of famous Old West figures, such as Kit Carson, Buffalo Bill, Sitting Bull, Jeronimo, are an exciting subcategory. The basic price for most old photos of cowboys or Native Americans is about $50. However, original photos of famous people can sell for much more. But collectors need to be careful. Unless a photo of a famous western character has a provenance that states that the person in the photo is, in fact, the actual famous person, then it’s just a photo of person out West. Westerns help make Hollywood. From the early days of the silent films to the elaborate sagas of today, westerns have been a major part of the film genre. Vintage posters, starting at $10, are an ideal way to get into collecting western movie memorabilia. But there are also parts of costumes and props from old westerns that can fill out a collection. For those longing for those days of yesteryear, items associated with the 1950s T.V. westerns might be just the ticket. Items belonging to the more famous stars like Tom Mix are expensive, but others, even character actors like Gabby Hayes, are much more affordable. It’s worth it for collectors to look for great examples in their price range. It’s also important to learn what’s out there, how much it’s selling for, and its availability.